UPDATE: Original DARK SHADOWS cast member Christoper Pennock has announced on Facebook that he'll be joining Kathryn and Lara at the event. 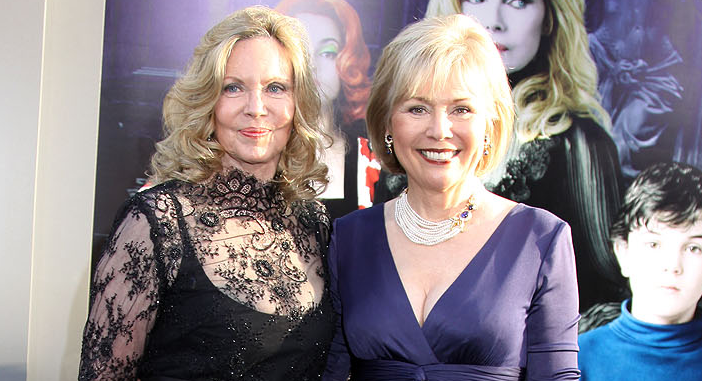 Two original cast members from DARK SHADOWS will be guests at the upcoming Hollywood Show the weekend of Oct. 30 at the Westin Los Angeles Airport Hotel. Kathryn Leigh Scott and Lara Parker will be signing for the William Holden Wildlife Foundation, a non-profit organization dedicated to wildlife conservation and environmental studies. If you collect signatures, this event is a great opportunity to double-up on autographs for certain DVD collections. * Loretta Swit of MASH is also a guest at the Hollywood Show event. Swit starred with Parker in 1975's RACE WITH THE DEVIL. * The event is also hosting a DALLAS reunion, with about a dozen actors from the series attending. Scott appeared in several episodes of the series in 1989. * HUNTER's Fred Dwyer is scheduled to appear at the event. He and Scott recently appeared together as Hydra officers in the AGENTS OF SHIELD episode, "Aftershocks." * Parker and guest Kent McCord appeared in the two-part episode of GALATICA: 1980, "The Night the Cylons Landed." Herbert Jefferson Jr., who appeared in both BATTLESTAR GALACTICA and a handful of GALATICA: 1980 episodes, is also a guest at the event.